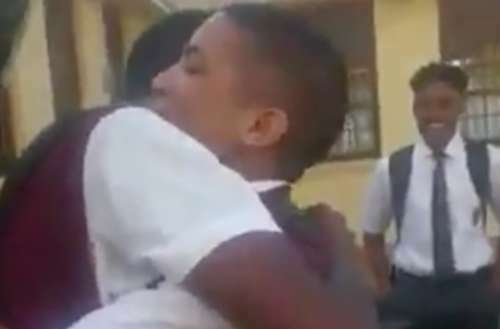 Even the most cynical of critics out there will gush over this video, that features an adorable pair of South African schoolboys caught in a Valentine’s Day surprise. 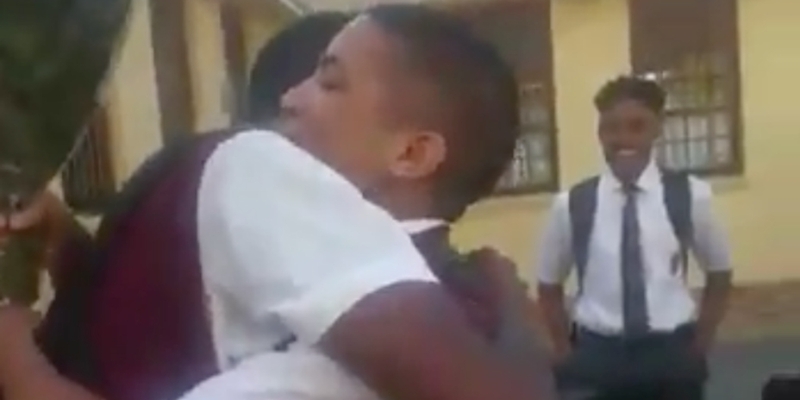 One of the boys waited outside his Valentine’s class to surprise him with a bouquet of flowers and an “I Love You” balloon. After their gift exchange and a cute huge, the boy goes in with the best gift of all for his Valentine: a kiss. There are shrieks and screams from the gaggle of school children watching the exchange, but the whole thing seems like it was a festival of love. We reached out to Gumede for more information on the video, and will update this post when he gets back to us. “When you are confident with yourself and understand what you are doing, happiness will forever find you,” tweeted someone else. LGBT people in South Africa enjoy the same rights as non-LGBT people. South Africa has a complex and diverse history regarding the human rights of LGBT people. The legal and social status of between 400,000 to over 2 million LGBT and intersex South Africans has been influenced by a combination of traditional South African mores, colonialism and the lingering effects of apartheid and the human rights movement that contributed to its abolition.